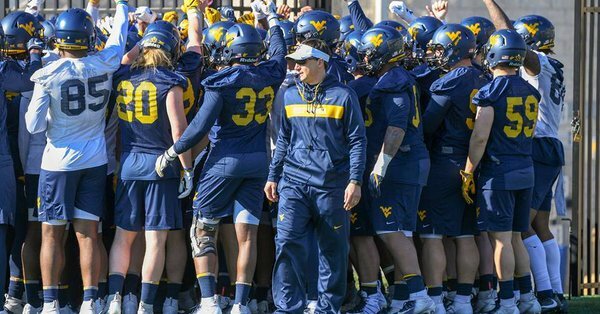 Neal Brown has a lot of people fired up about WVU football. You could also say people are “piped up” about Mountaineer football. How great was that? It’s really cool to get to see him in action for his first Mountaineer practice. He’s high energy and excited to be there. After the practice Coach Brown addressed the media. Just think, only five months and some change and the Mountaineers will be taking the field. The Mountaineers return to practice on Thursday. Mountaineer fans will definitely have their eyes on the battle for who gets to be the starting quarterback heading into the 2019 season.